Instantly view your YouTube paid performance via YouTube Analytics by Improvado. 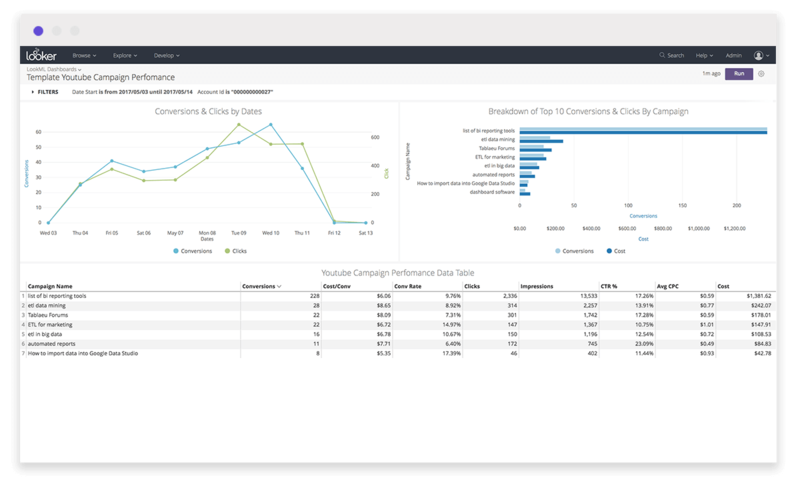 Monitor YouTube performance on a campaign level. Add on Improvado’s Advertising Analytics, Agency Analytics, Twitter Analytics and Google DCM Analytics blocks to gain a more comprehensive analysis of your social media, display and search performance.